To date, humans have explored less than 5% of the world’s oceans. Whatever is lying in wait beneath the cavernous dark water is something yet to be discovered. Many scientists speculate that there are creatures such as the giant squid, which live in deep, seemingly endless trenches, hiding in the dark. Can there be other creatures as well—possibly from the Black Lagoon? In 1941, producer William Alland was attending a dinner party for the classic Citizen Kane, when Mexican cinematographer Gabriel Figueroa told him about a myth that involved a half-fish, half-human creature on the Amazon River. Ten years later, Alland wrote a screenplay dubbed The Sea Monster, partially based on the French fairy tale, Beauty and the Beast. Following the success of the 3D House of Wax in 1953, Jack Arnold was hired to direct the rewrite of Sea Monster which was now Creature from the Black Lagoon. The creature was designed by Disney animator Millicent Patrick, but popular makeup artist Bud Westmore received most of the credit. While filming, the actors playing the creature were unable to sit for 14 hours of the day in the suit and often requested to be hosed down due to the overheating caused by the bodysuit and prosthetics. Although the 3D Creature from the Black Lagoon is a lesser-known Movie Monster classic, it is simply one of the best. After a geology expedition on the Amazon discovers the fossil of a skeletal webbed hand linking both land and sea animals, another crew returns to the river to look for more parts of the possible human-sea creature hybrid. When they find out that the previous research team has perished at the hands of an unknown attacker, the crew begins to fear that a nearby “black lagoon”, may have something to do with the unusual deaths. They are unaware that the amphibious creature known as “Gil-man” has been watching them—in particular, Dr. David Reed’s beautiful girlfriend, Kay Lawrence. Creature from the Black Lagoon generated two lesser-known sequels: Revenge of the Creature (1955) and The Creature Walks Among Us (1956), but they never did as well as the original. Many modern films featuring the monstrous concept of Gil-man have been made since Universal’s 1954 classic. The Monster Squad (1987) used the likeness of the creature but began calling it “Gil-man” due to conflict over the name “Black Lagoon” with Universal Studios. In Tim Burton’s The Nightmare Before Christmas, there is clearly a Halloweentown creature that is supposed to be Gil-man. Television has also used Gil-man in a number of shows: The Munsters receive a visit from “Uncle Gilbert,” who proudly refers to himself as “the creature from Black Lagoon;” and Buffy the Vampire Slayer’s episode “Go Fish” has a similar creature that Buffy and her friends have to track down. A remake has been announced from Universal. 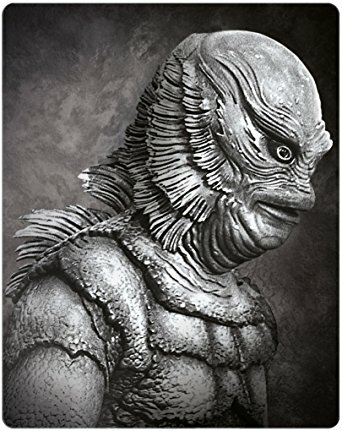 Not only are they remaking Creature from the Black Lagoon, but they are reviving the other Classic Movie Monsters as well. Jeff Pinkner, writer for Fox’s science fiction series Fringe, will be writing the screenplay.